Wow...I just realized, I never even blogged about or Facebook'd the speed scrap I hosted last night. I am slackin'...sorry about that. None the less, the participation prize is available to purchase, and if you were unable to attend last night (or didn't know about it because of my absent-mindedness...is that a word? 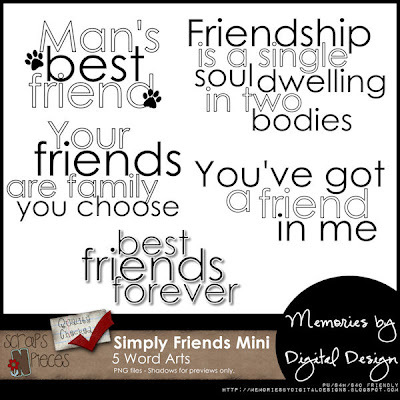 ), the Simply Friends mini word art pack is on sale - TODAY ONLY - 50% off.